Sorry, this Royal Tara China sugar bowl is now retired. 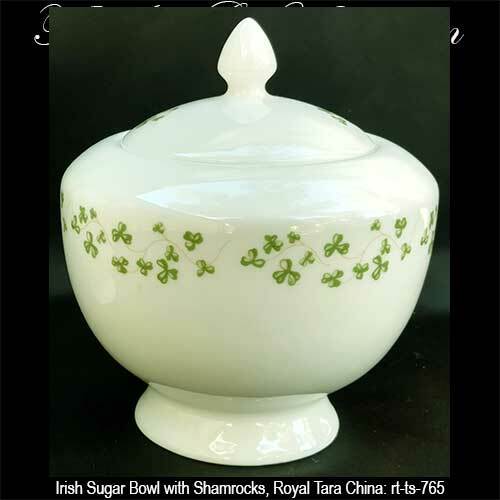 This Irish sugar bowl features fine bone china that is accented with green shamrocks. The lidded shamrock sugar bowl measures 4 1/4" wide x 4 1/4" tall and it is made in Ireland by Royal Tara China. 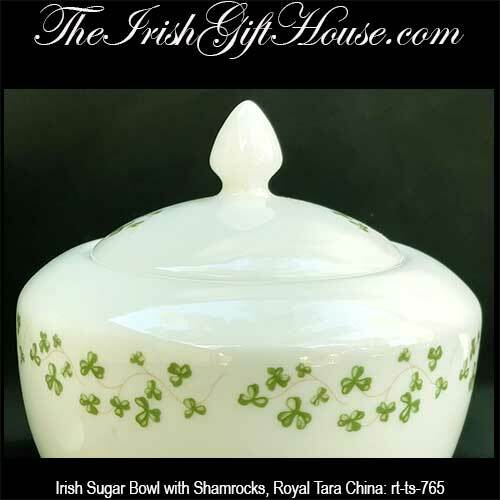 The Irish bowl is gift boxed with a shamrock history card that is complements of The Irish Gift House.